The before pictures are of a landing area in her home that she walked past every day for months. Many of the items in this room belonged to her parents who had passed away close together and unexpectedly, which made the thought of tackling this project alone both sad and overwhelming. Together, we turned on her favorite music and spent a few days dividing up items to keep, donate, trash, recycle, etc. I removed the items from her home that were being recycled, trashed and donated and brought back the receipts. After those items were removed, going through the items that remained, photos, mementos, etc., was much more manageable. 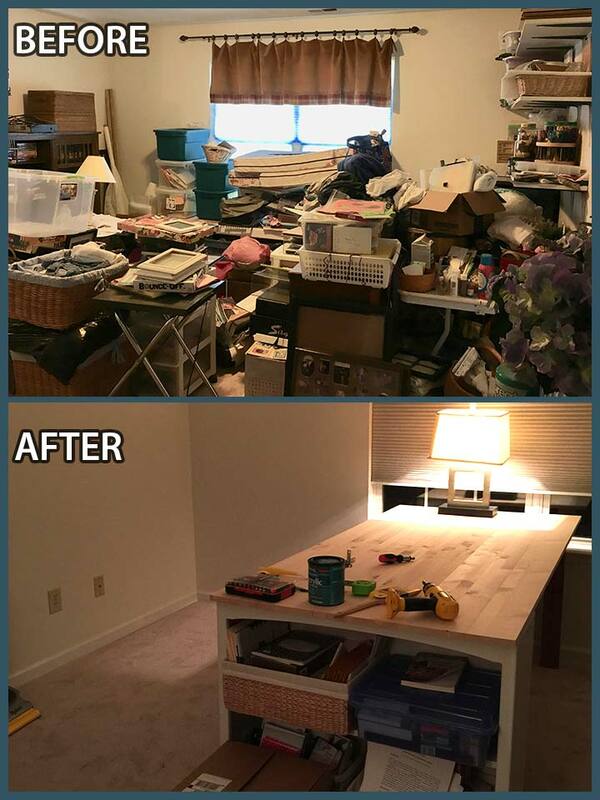 With the majority of items removed, she was able to create an office/project space in the landing area. 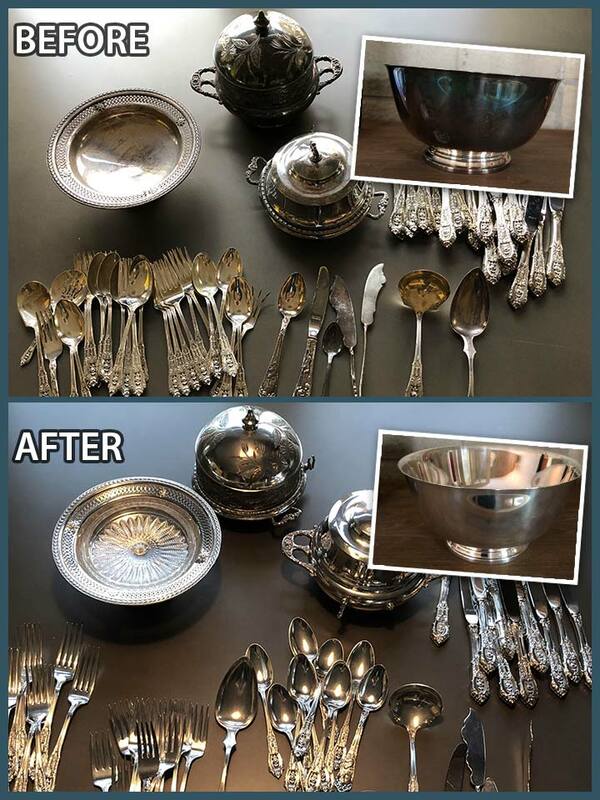 Cleaned and polished a clients silver for her dining room table for the holidays. With MANY things to complete before hosting special big dinners, I helped her take one tedious task off her plate. This brings back memories of doing this every year for my mom as a child. One woman's work is another one's pleasure. What work do you have that you'd like taken off your plate? 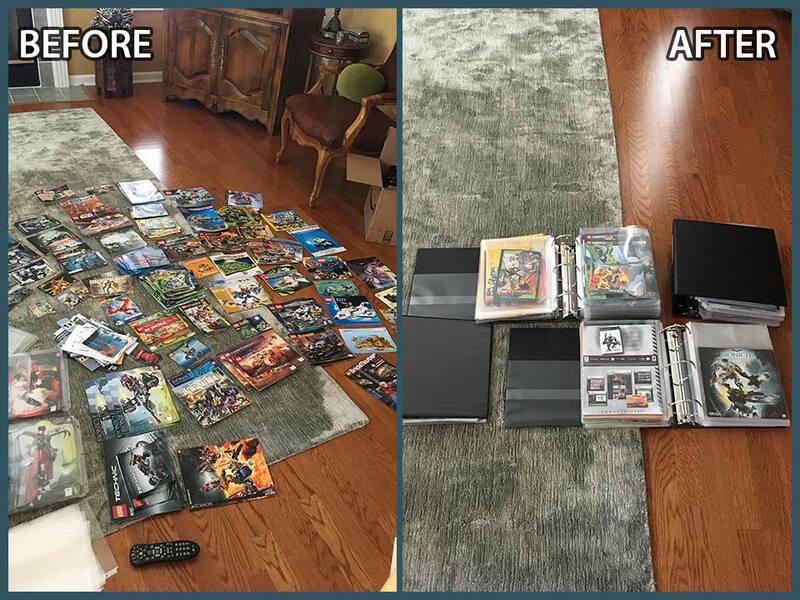 A client gave me a large box of her son’s Lego Manuals and asked me to separate them by type, put them into large plastic page sleeves, and then bind them into large 3-ring binders for easy access. She has been wanting to tackle this project for several years, and I was able to finish it for her in just 3 hours. She wished she had asked me sooner. What jobs have you been putting off in your home that could save you years of stress and help you avoid repeatedly telling yourself, "I need to do that... I'll get to it later", but then you never seem to get to it?